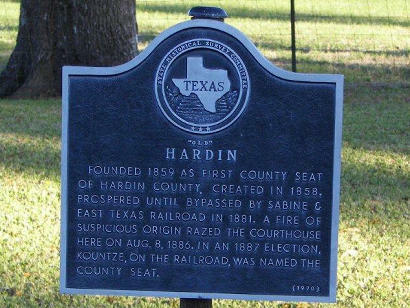 Hardin, Texas, Old Hardin, first Hardin County seat. 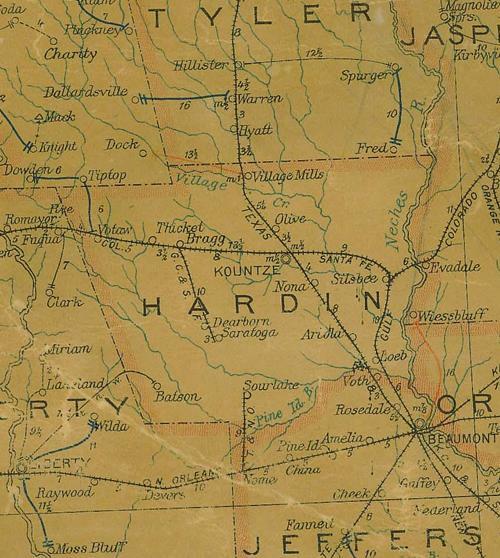 Hardin County came into existence in 1858 and what better name could one choose than Hardin, Texas? By 1860, the community had a post office but growth was slow. Even as late as 1878, the courthouse was only one of several buildings and the population was a mere 150 souls. It suffered the fate of so many towns in Texas when it was bypassed (by only two miles) by the Sabine and East Texas Railroad in the early 1880s. 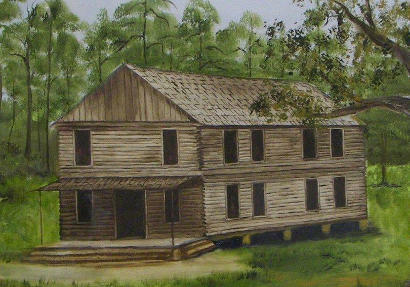 Hardin managed to defeat Hardin Countians who wanted to move the seat of government to the railroad town of Kountze in 1884, but a fire in 1886 destroyed the courthouse, making the move a necessity. By 1900 the number of residents numbered just over 100 and the post office closed its doors in 1903. Founded 1859 as first county seat of Hardin County, created in 1858. 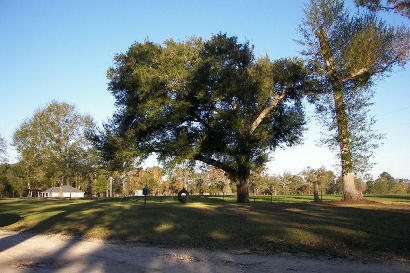 Prospered until bypassed by Sabine & East Texas Railroad in 1881. A fire of suspicious origin razed the Courthouse here on Aug. 8, 1886. In an 1887 election, Kountze, on the railroad, was named the county seat.